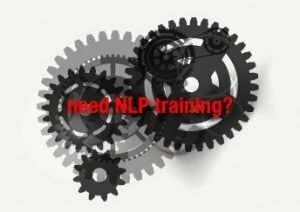 Why is NLP Training Unique? NLPWhy is NLP Training Unique? When we explore situations using NLP approaches we develop our logical, sensory and intuitive capabilities. That’s what makes it unique and why good NLP trainers use experiential methods to teach NLP. It takes into account how we connect to the world through our sensory experiences and how we store and recall those experiences in relation to our minds and bodies. It is highly effective at connecting conscious and unconscious resources, leading to us discovering our ‘untapped potential’. It is as much about ‘unlearning’ and ‘letting go’ of what we’ve previously learned and that is now getting in our way, as it is about learning new material. Training in NLP allows us to explore outside our normal comfort zones in a safe and respectful environment. Modern society, with its technology, 24-hour information, and economic worries means that we are surrounded daily with a noise of unhelpful and distracting information and attempts to influence our opinions and manipulate our behaviour. These may not be useful for us. To be outwardly successful and inwardly at ease in this modern climate, we need to decide what we want to include and learn to filter out inappropriate influences. To do this, we need a strong sense of personal direction, which is something that many people have not have the opportunity to think about and explore. NLP gives us a toolbox of attitudes and strategies to help us define our goals and experiment with the workings of our minds, our relationships with people around us, our own memories, and our physical selves. NLP helps us develop resilience, both within ourselves and the people we work with. After learning NLP you may find that it gives you many ideas how to literally make someone’s day (and life) through communication skills and state management.